Click the “Try It Free” button. This will bring you to our membership pricing page where you can select your preferred plan by clicking “Sign Up.” This will bring up signup form, which will request some personal info necessary to create your account: name, username (this is your individual ID and can’t be edited in the future), email, and password. Once this is filled in, click “Sign Up” and you will either be prompted to pay if you have selected the Pro membership or your free account will be created. You will then receive a welcome email from us with your login details. If the system returns an error, this may be because you already created an account with that email address. Try logging into your dashboard. 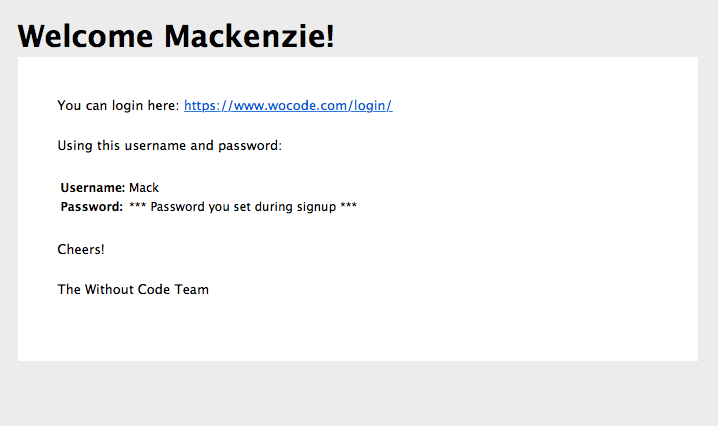 If this is still giving you an error, send us an email and we can take a look – sales@wocode.com. 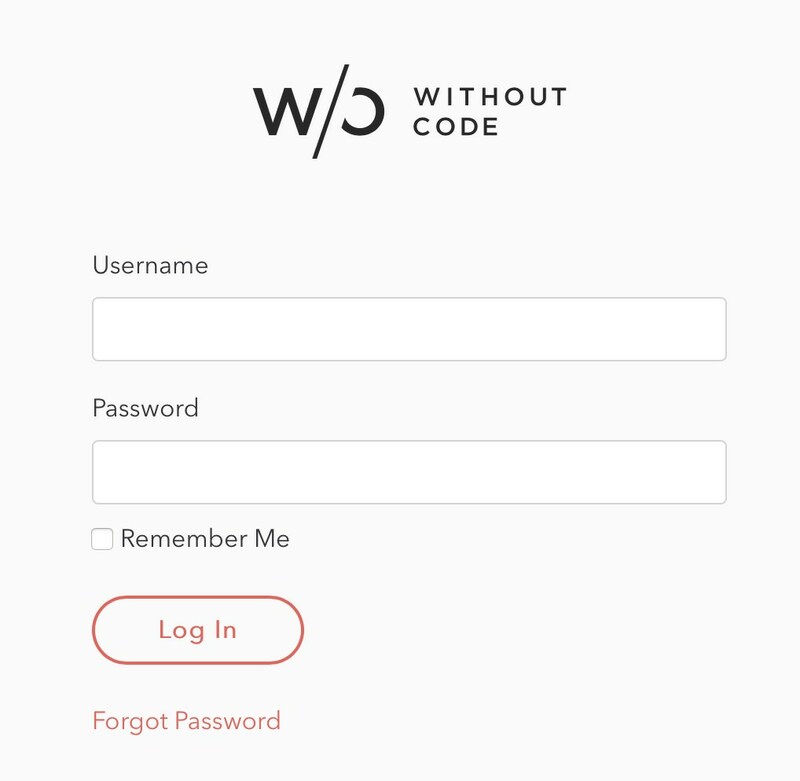 If you have already created an account with Without Code, you can click the “Login” tab or visit the customer dashboard and enter your username and password.